of Sale-Abration! It all comes to an end on March 31st. I can hardly believe it myself. I’m doing my best to share the last of my Sale-abration cards this week. Today’s card is a box card. Once opened, it stands all by itself. This is a fun idea for lots of little pop-up items, like balloons or birthday cakes. 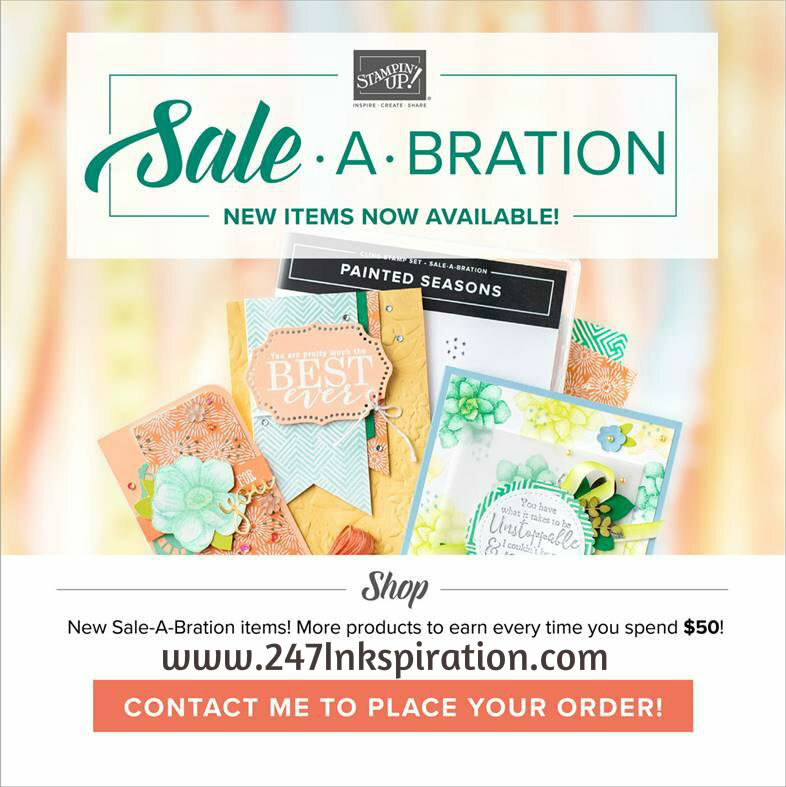 My card uses the Painted Seasons stamp, which is a FREE item you can get with a qualifying Sale-abration purchase ($50 pre-tax and shipping). I love that this design folds flat for mailing. 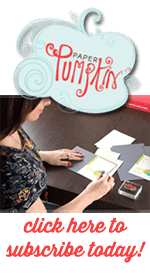 When making this card, you’ll want to decorate the outside of the box too so it’s pretty. That pretty Rich Razzleberry velvet ribbon is also on special for Sale-abration right now. And you get two rolls of it for FREE with a qualifying purchase ($50 pre-tax and shipping). 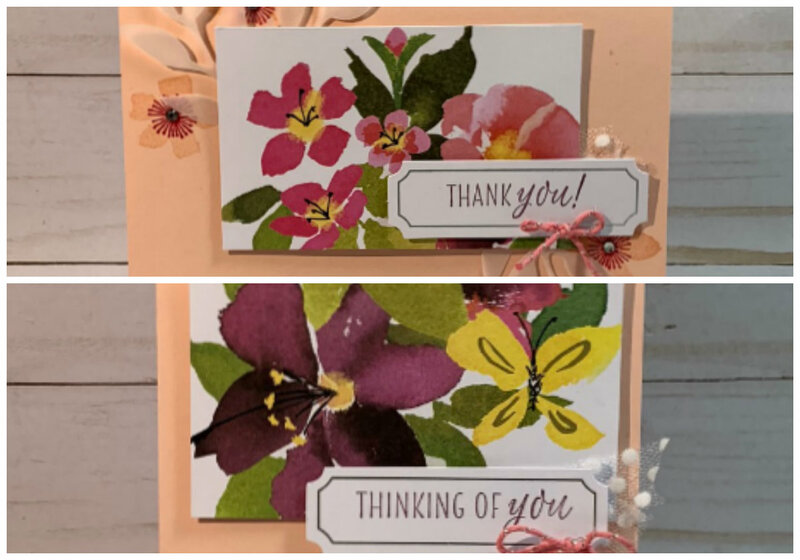 I didn’t make a pattern for this card, but if you search for “box card”, you’ll find a number of ideas and patterns for it. One trick to keep in mind when trying out new patterns is to practice on an inexpensive piece of paper first. I usually try things out with copy paper that’s in my recycle pile. Note on this card, the front flap and two side flaps are scored so they open up. The back piece is not scored. It only took me two tries to get it right (and this is why I use paper to be recycled). An alternate idea would be to score all four sides, but then you’d want to do both fronts and backs on your pop-ups. Otherwise, the backside just folds down to show the backside of your stamping. I might have to give this one a try. I’ll keep it in mind for a future card someday. We are now in the last month of Sale-Abration and several items have already sold out. 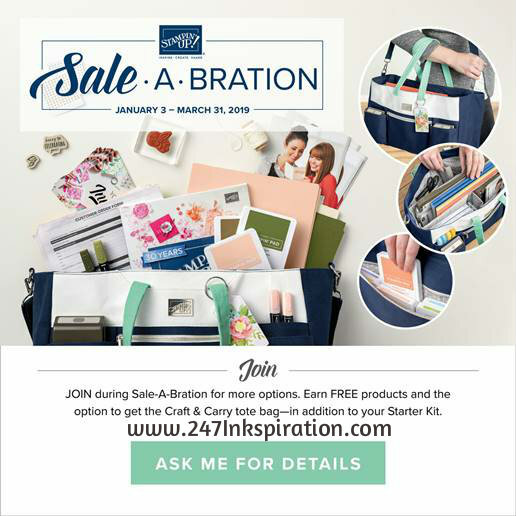 All Sale-abration products and Coordinating products are now available only while supplies last. If there is something that you wanted, don’t wait any longer to grab it. Click the Order Online button on the right and it will take you to my store.